Nearly a quarter of arms recovered from ISIL in Iraq and Syria were made in Romania, Bulgaria and Hungary, according to a new report. The trio sold weapons to the United States and Saudi Arabia, who then passed them onto groups opposing the so-called Islamic State, claims a new report by Conflict Armament Research (CAR). The weapons then found their way into ISIL’s hands, said the UK-based organisation, which looked at arms recovered from the group over the last four years. CAR claim one EU-manufactured weapon was sold to the US, passed onto a Syrian opposition group and recovered from ISIL in just two months. Where are ISIL’s weapons coming from? In all 33.18 percent of arms recovered from the so-called Islamic State were manufactured in EU countries. Romania, Bulgaria or Hungary make up the bulk of the countries, which also includes Germany, Poland and the Czech Republic. The proportion of ISIL’s weapons that are made in the EU will sit uncomfortably with Brussels, say CAR, amid the bloc’s “parallel efforts to degrade the group’s capacity to wage war and terrorism”. China (43 percent) and Russia (9.55), meanwhile, manufactured more than a half of the weapons. How do EU-made weapons get into ISIL’s hands? CAR says both the United States and Saudi Arabia have imported weapons from EU countries and then passed them onto groups opposing ISIL. “CAR has traced numerous items deployed by IS forces to initial exports from Bulgaria to Saudi Arabia,” it wrote. “These transfers were uniformly subject to non-retransfer clauses concluded between Saudi Arabia and the Government of Bulgaria prior to export. 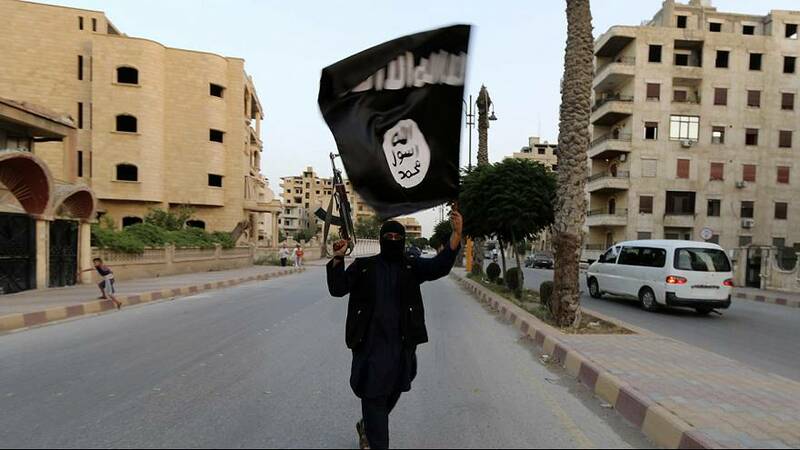 The report, entitled Weapons of the Islamic State, comes as the group is losing ground in both Iraq and Syria. Earlier in December, Iraq declared final victory over ISIL, which seized more than a third of the country's territory in 2014. Last week Russia declared victory over the group in Syria. The dossier continued: “Evidence collected by CAR indicates that the United States has repeatedly diverted EU-manufactured weapons and ammunition to opposition forces in the Syrian conflict. “IS forces rapidly gained custody of significant quantities of this material. “CAR immediately alerted EU manufacturing states to these instances of diversion. It’s not just EU-manufactured weapons that are finding their way into the hands of ISIL fighters, it’s ammunition too. CAR says around 20 percent of what was recovered from the group in Iraq and Syria came from countries in the Brussels bloc. The biggest was Romania, with 13.25 percent, followed by its south-eastern European neighbour, Bulgaria, with 4.44 percent. Russia and China, with 25 percent each, manufactured the most of ISIL's ammunition. The proportion of ammunition made in the current decade (2010-17) was 15 percent, in contrast to weapons, two percent of which were made in the last seven years, according to CAR.